Quebec City, October 2, 2018 - (TSXV: HEO) - H2O Innovation Inc. ("H2O Innovation" or the "Corporation") is proud to release its new packaged wastewater treatment product, the SILO, during this week's WEFTEC (World's largest annual water quality technical conference and exhibition) in New Orleans. The SILO is a simplified approach to membrane bioreactor (MBR) treatment for smaller applications where ease of operation and low maintenance is necessary. This system is geared toward populations between 100 and 2000 people. It defines simplicity with very little automation and only four moving parts while still using the most advanced wastewater treatment process, the MBR. The SILO system utilizes high concentrations of bacteria housed within a bioreactor. These bacteria consume pollutants and are filtered out of the effluent with the use of sub-micron membrane filters. The finished product resembles a grain silo after which it was named and SILO stands for Simple Independent Level-based Operation. It boasts a highly competitive price tag and rapid delivery while using as little as $10/day in power. It eliminates the need for a building structure to house equipment, minimizes installation costs and produces high quality effluent. It is also an ideal product for our representatives' distribution network, since the SILO is compact, standard sized and deployed in just a few days. "The North American population is becoming more aware of the benefits of decentralized wastewater sanitation solutions. 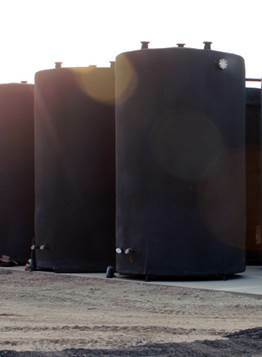 The SILO system was developed to meet the demands of smaller treatment applications, such as housing and commercial developments, campgrounds, workers camps, rest stops and smaller communities. It also serves as a tool for emergency and temporary treatment needs", said Dr. Fraser Kent, Director - Wastewater Projects of H2O Innovation. The Corporation plans to provide a full suite of financing, service and O&M options to provide complete solutions for their customers. For more information on the SILO system, please contact H2O Innovation or visit our booth at WEFTEC. H2O Innovation designs and provides state-of-the-art, custom-built and integrated water treatment solutions based on membrane filtration technology for municipal, industrial, energy and natural resources end-users. The Corporation's activities rely on three pillars which are i) water & wastewater projects, and services; ii) specialty products, including a complete line of specialty chemicals, consumables and specialized products for the water treatment industry; and iii) operation and maintenance services for water and wastewater treatment systems. For more information, visit www.h2oinnovation.com.